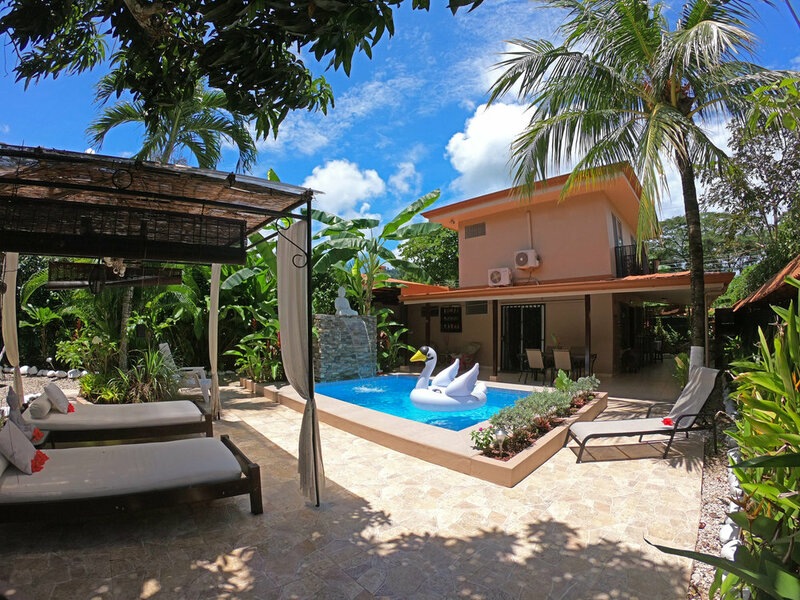 Casa Tortuga in Playa Jaco Costa Rica is the best vacation rental in the area, from the same people that bring you Tortuga Surf camp & Hotel Perico azul the number one brands in Jaco Costa Rica when it comes to lodging and adventure tours and with over 3 years on the top positions on TripAdvisor's listings. 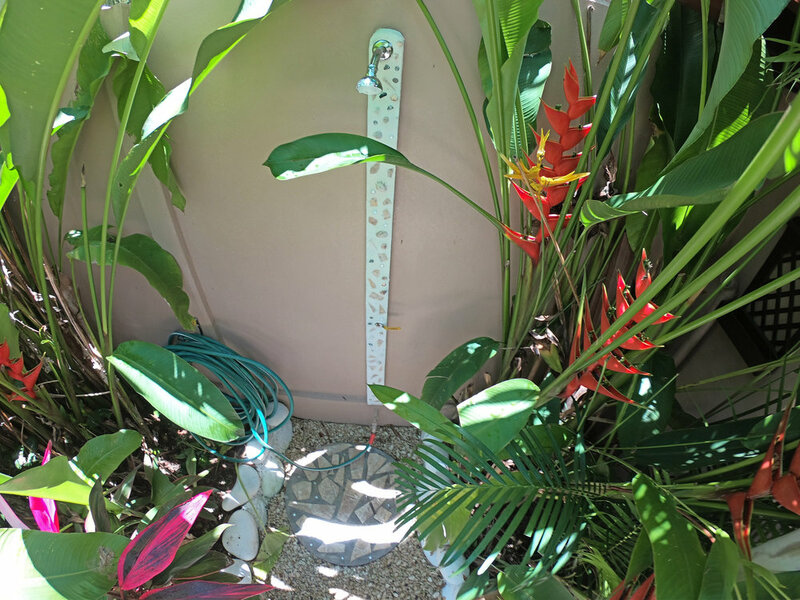 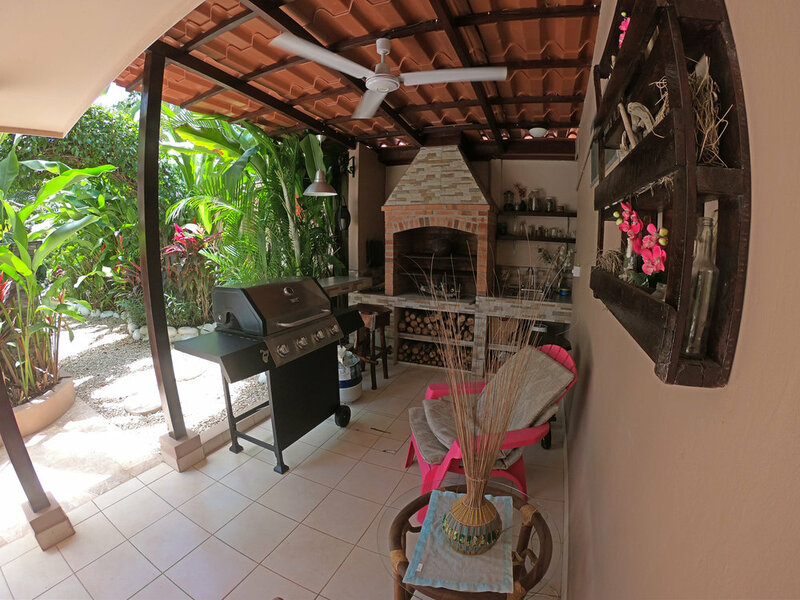 This 2.5 bedroom beach house is located on gorgeous south Jaco beach has indoor car garage and spectacular pool and hang out areas and gardens full of tropical flowers and bird that come to feed from them, with a water curtain by the pool, BBQ & bond fire pit. 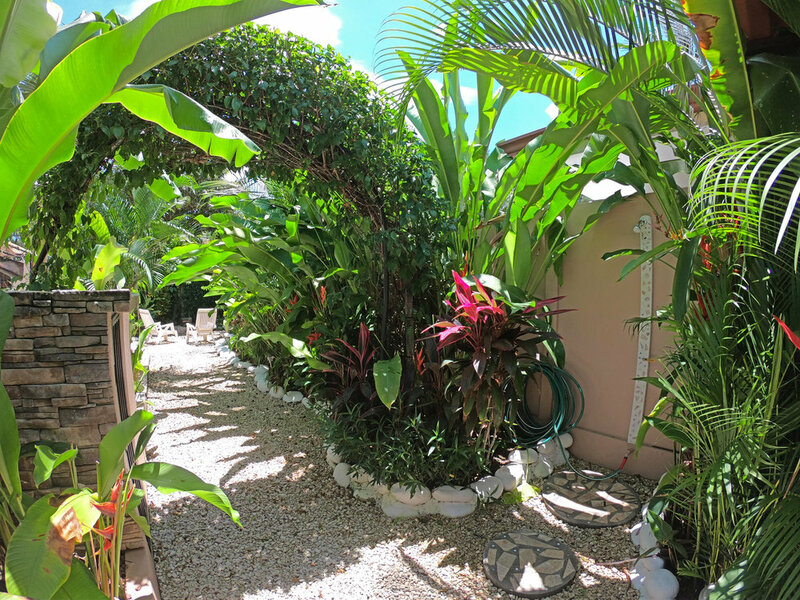 The house is in impeccable state with brand new decoration and finishes, bed's and flat screen TV's, WIFI, hot water and top room window decks to walk out and smell the ocean breeze on the mornings. 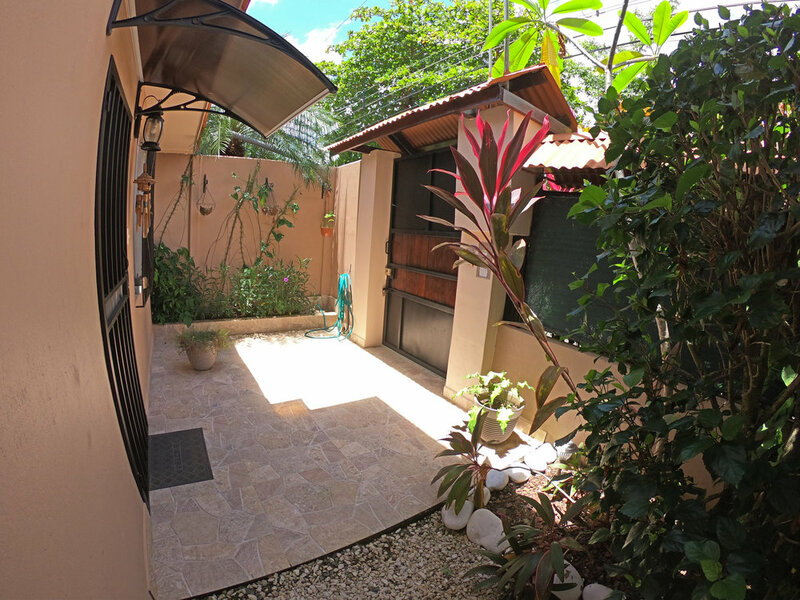 Same as our main base camp Hotel Perico azul, this beautiful house is located just 5 min walk to the beach and 10 min to the towns main shopping areas, restaurants and supermarkets. 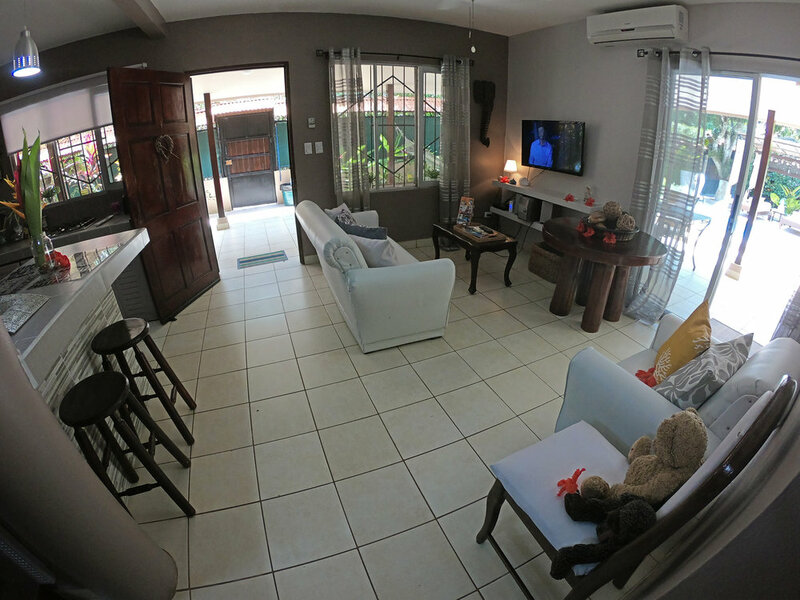 The details on every corner of this gorgeous property would take you back home while you are away in holidays, the outside patios and pool areas are perfectly desing for the the enjoyment of the outside space with its out fire place, BBQ area and water curtain on the pool to take a refreshing dip on it warm waters. 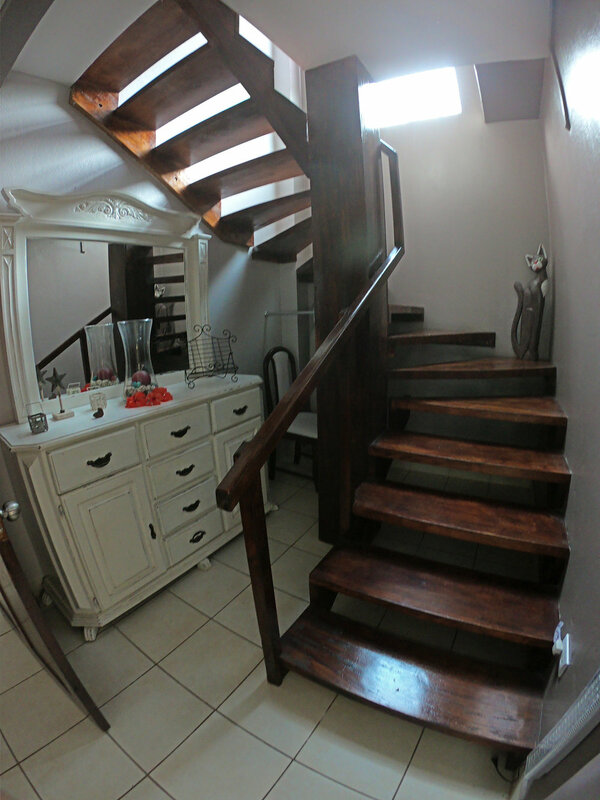 The typical Costa Rican house was recently fully renovated by our camp manager and property renovation master Celine Mounier, its on her vision to transform this old and beaten properties into the gorgeous modern vacation rentals that are now days leading the ranking charts of the main touristic town of the country, mixing a strict sense of ecological recovery of good or re-use everything she makes magic combining Costa Rican architecture and southern French decorative taste, to make this a wonderful space for a family surf holiday or two couple traveling together wanting hotel service without the actual hotel environment. 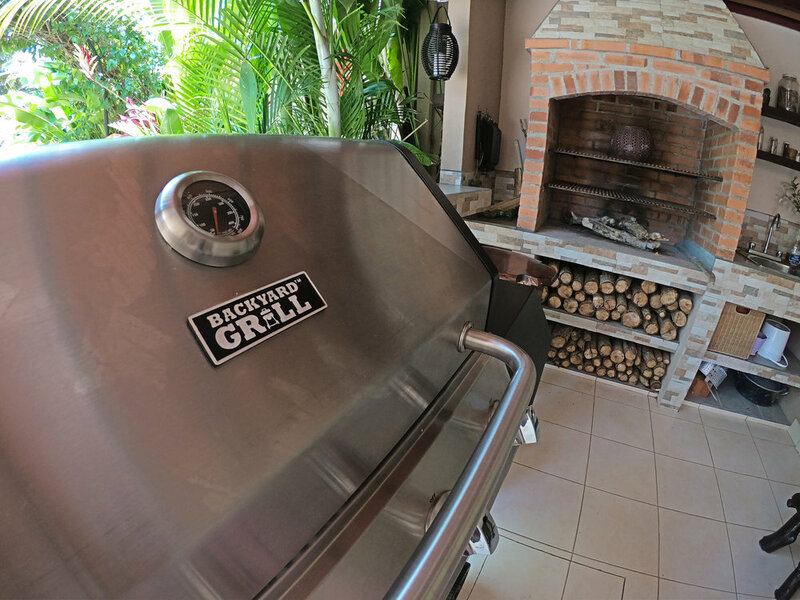 The whole idea of this house was to unify the cooking, TV, BBQ and pool areas all into one single vibe. 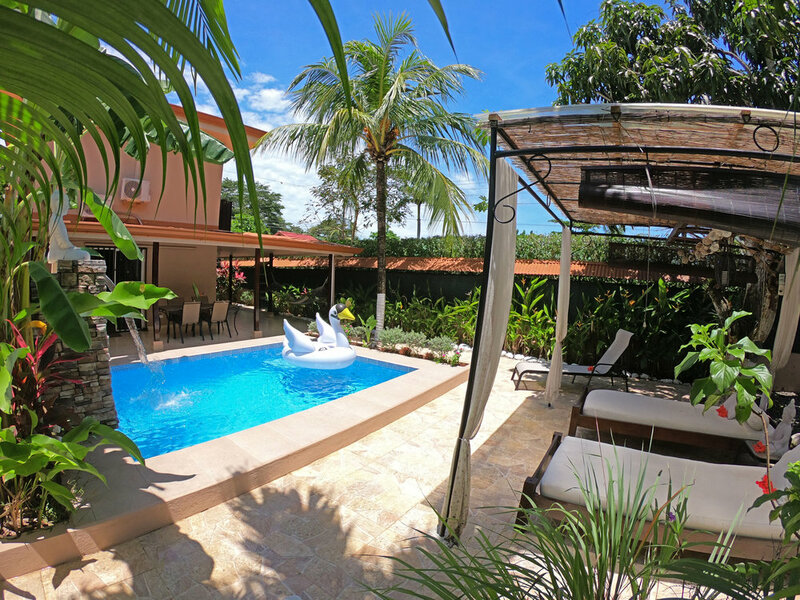 Our locations and camp manager mastered the perfect garden and hang out settings with everything you need to have a great time in Playa Jaco Costa Rica. 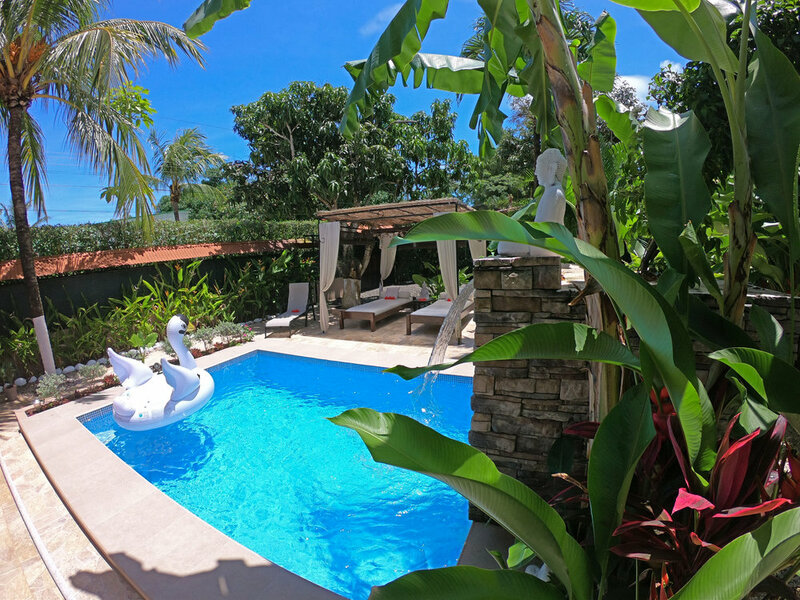 Relax on our bamboo roof canopy and read a book or have a nap on our typical Costa Rican Hammock with the bird that more than 30 species of plants and flowers attract to the garden areas of this hidden gem.